This new guys thinks he's pretty cute playing this at this hour. Good Monday Morn.... to Freeform Nation of the Station!!! Hey. gang! Nice to see alll of your shining avatars this morning. The "war" in Gaza; where the body count last week stood at 1,900 Palestinian, 408 of which were children. 66 Israeli 60 0f them military men? Why not settle it with a one on one fist fight? fair? @marmalade....there used to be a PSA like that in the 70's on NY tv....of a Russian looking man and an Americn in suits like they we Politicians/Leaders...in the boxing ring...anybody remember it...??? @MD It wasn't Rocky IV was it? hi mr marceau (shall i). pleased to meet yr show. mr powell seems to make nice music with little help of eletronic devices. was it 'noirceur' ? if so, you werent so far! Good morning, Sam, and all. Hello, Bibi! You certainly shall. I'm glad I at least approached correct pronunciation. I've been practicing. wearable poutine? does joe beef know about this? morning all! loving the show so far Sam! i suspect this shawiniganese to be an imposter !!! Inspired by the meat shirt in el Topo but contextualized for La Belle Province. "to keep me and my dog in cider" great! "Barking at the Half Moon" i guess there s some hidden meaning i cant get, but i like it like that anyway. Is the demonym for Shawinigan really Shawiniganese? Isn't it Shawiniganoid? sem, you new scottoid. to say the least. Aye, hand me that caber, svp. it is a giraffe, sem. a giraffe. A burning giraffe walks into a bar...stop me if you've heard this one, bibi. @Sam: your play-list excites the mind. Thanks! is it close to the frozen kangaroo one, sem ? glenn ? we wait for yr contribution. what is that reptile dressing ? please everything but a kilt !! see, sem, partipationnism is good in theory. but implementation is always the toughest part of the job. that poor reptile is bare naked, facing the nightwatchman. Ok, let's just leave everyone with that mental image, and call it a day. How's Paris these days? Empty? oh boy, we just 'borrowed' a péniche for 10 days, facing the edge of l'île seguin. reptile? dressing? what is this, a joke? Sam, I like the flow and the variety. but im a continental guy, thats enough for me. 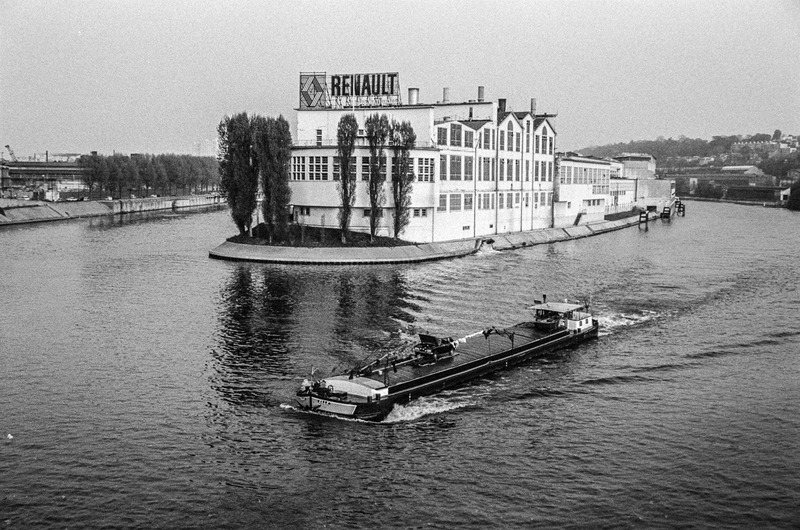 the île seguin used to be an industrial jewel, a renault factory was convering 105% of the island. actually, some families have a tradition of eating iguana on Thanksgiving. I did a quick search on that "Blow to my Soul" comp, and...let's say that the only info I could find was a very not-work-appropriate image as the cover. Any info on a track listing on that comp? WHOA, .. i get distracted for a bit & miss a Gomorrha track. Love that rekkid. honestly, i could listen to gary davis all day long. Sorry, PKNY! I should have warned you. I avoided any mention of the album art because I didn't know how to put it gracefully for the radio. @DMW: no problem, luckily my office computer is not in a public area. But you're right, there's absolutely nothing graceful about that cover art! ok ! i first thought of some jokey comment, following the reptile experience... it is sure not graceful but the photoshopping is garagesque, colors are funky, and the central illustration hits... relevant enough. 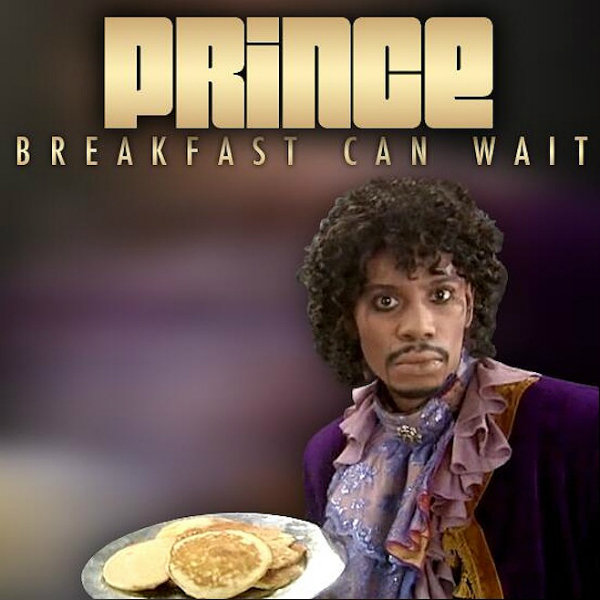 btw, that cover art for prince latest album, wow ! this is lovely, is it some martenot waves in the background ? 80% of my comment board address copy-pasting fail. not like i want to see this pic more than once a day. @bibi: Hahaha! collaboration with Chapelle? @bibi: so Prince is catering your Seine-barge vacances? Can he cook, I mean, you know, at a stove? Been mowing and enjoying the show, Sam. Love your choices. OK, That cover with Chapelle is for the single, not the whole album. That makes more sense. "Now you're mowing with goats!" is a favored expression of one of my neighbors. "Now he's sleeping with the fishes," is one of my neighbours favourites. That and "Bring the cannoli." is "mowing with goats" a compliment? Thanks for listening. I'll try to weasel my way back on air as soon as I can.